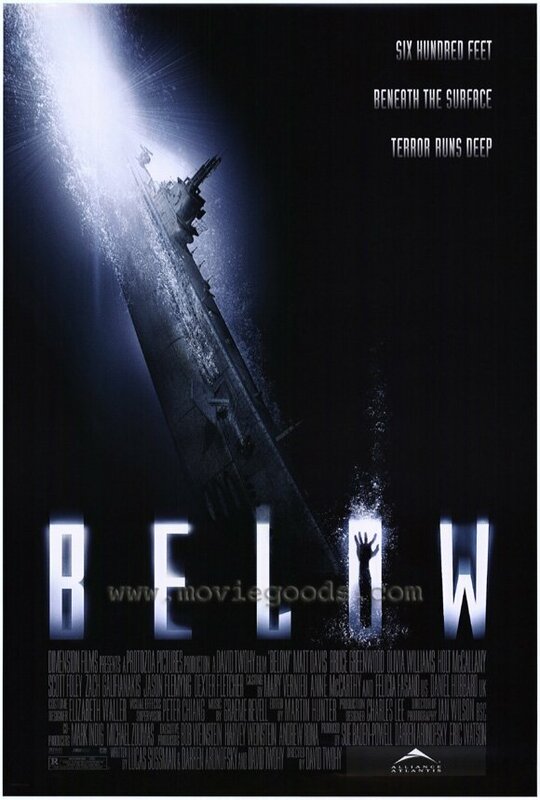 A different take on the haunted house story, this movie, directed by David Twohy (Pitch Black), takes place aboard a haunted submarine during World War II. The movie features Bruce Greenwood (The River), Scott Foley (True Blood), Zach Galifianakis (The Hangover) and Olivia Williams (The Sixth Sense) among the ensemble cast. The crew of the submarine begin to be plagued by increasingly strange occurrences (including deaths) after they pick up the survivors of a downed British hospital ship. As the mystery behind the hauntings is slowly revealed, the film takes the audience on a suspenseful and frightening ride, leading up to an exciting conclusion. This underrated film is worth a look. A frightening and compelling adaptation of the Stephen King novella written and directed by Frank Darabont (The Shawshank Redemption). The film features a strong ensemble cast that includes Thomas Jane (Hung), Laurie Holden (The Walking Dead) and Marcia Gay Harden (Mystic River). After a severe storm, some of the inhabitants of a small town in Maine are gathered at the local market picking up supplies when a strange mist settles upon the town. The towns people begin to be become aware that something frightening is lurking out in the dense fog. As the tension and suspense builds, the film takes on a Lord of the Flies like feeling with the trapped townspeople coming into conflict with each other, as they strive to keep order and keep the monsters out. The director revised the ending of the film, making it much more disturbing than Stephen King’s original ending. 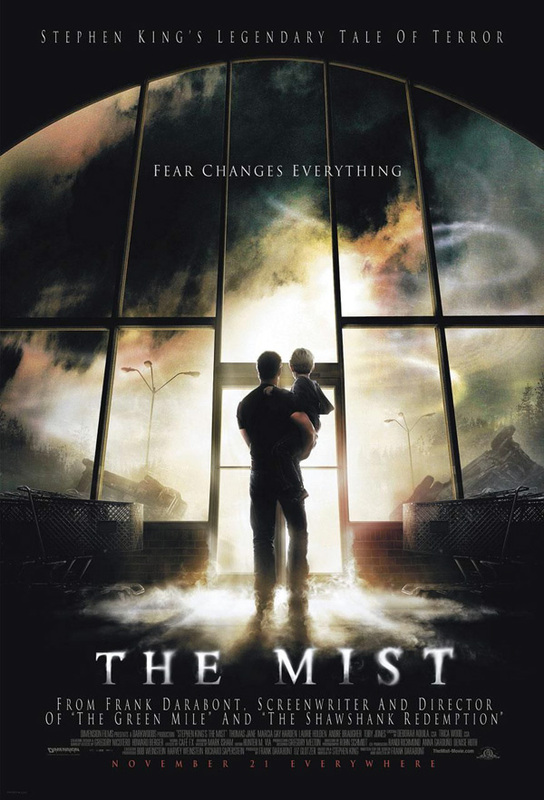 The Mist performed well at the box office and received mostly positive reviews. The next two films are both stylish and well-crafted monster fables. 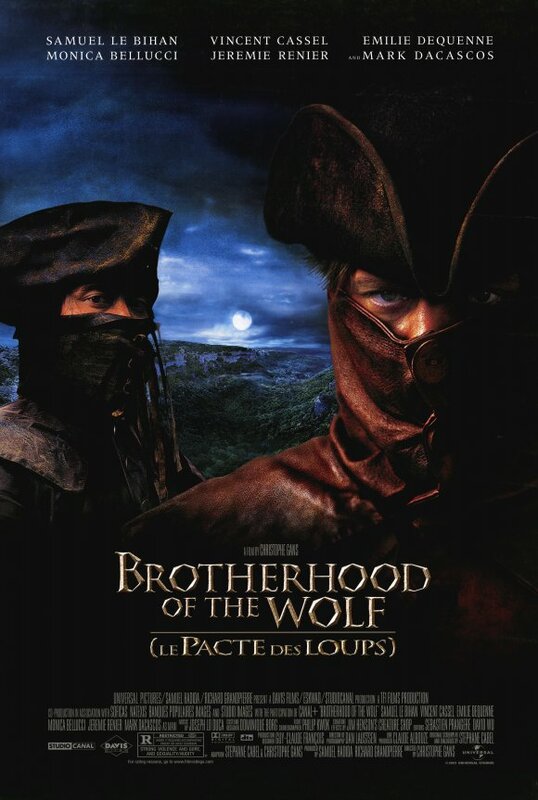 Brotherhood of the Wolf is a 2001 french thriller set in the 18th century. The film is loosely based on the legend of the Beast of Gevaudan–a creature believed to be responsible for a series of brutal killings in the french countryside. Directed by Christophe Gans (Silent Hill), the movie is a highly watchable treat with its alluring imagery and thrilling action sequences. A huge international success, the movie took in over 70 million at the box office. The Company of Wolves is directed by Neil Jordan (Interview with the Vampire) and is a modern re-telling of the Red Riding Hood fairy tale. The movie features Angela Lansbury (Murder She Wrote), Stephen Rea (Underworld: Awakening) and David Warner (Titanic). A visually creative film, the movie tells the story of a teenage girl who dreams she lives in a fairy tale world. Here, she becomes aware of her budding sexuality, as she encounters strange and dangerous werewolf-like creatures on her way to her grandmother’s house. The movie was not a big success when it was released, but has become a cult classic. The Cell is an exciting, edge of your seat thriller directed by Tarsem Singh (Immortals) and starring Jennifer Lopez (Anaconda), Vince Vaughn (Psycho) and Vincent D’Onofrio (Law and Order: Criminal Intent). The movie tells the story of a child psychologist who uses a device to get into the alternate reality of her autistic patients’ minds. During the movie, she is approached by the police to help save a missing woman kidnapped by a serial killer after he ends up in a coma. Entering the killer’s mind, the psychologist finds herself in a bizarre, nightmarish world where she has to outwit the killer and unravel the mystery to finding his latest intended victim before it is too late. A highlight of the film is its visually stunning and horrific imagery. The reviews for The Cell were mixed when it came out, but the film did well at the box office, grossing over 100 million. 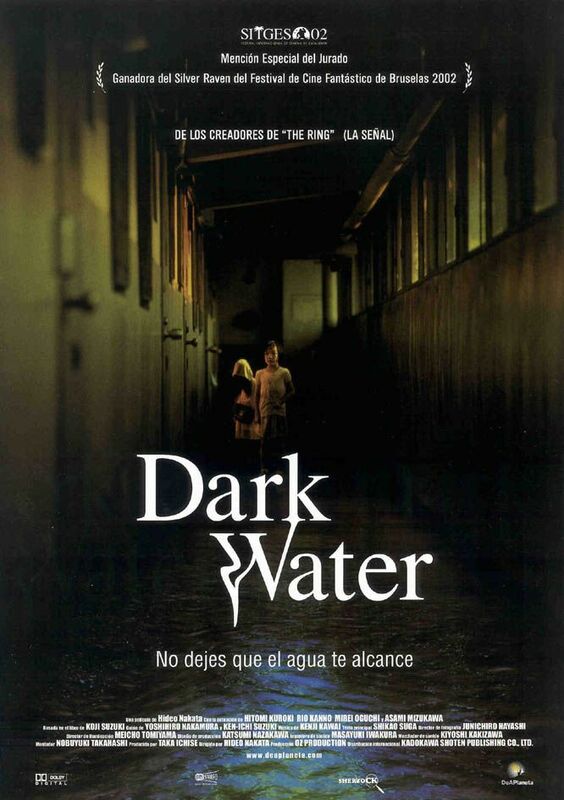 The original Dark Water is a scary Japanese ghost story directed by Hideo Nakata (Ringu). The movie is about a woman going through a divorce and her young daughter. The film begins with them moving into a creepy apartment building. Right from the first moment they arrive, strange and frightening occurrences take place, including encounters with a strange little girl in a yellow rain coat. Under the mounting pressure of fighting her domineering husband to retain custody of their daughter, the woman also has to try to maintain her sanity, as the supernatural events escalate and the mystery of the little girl in the yellow rain coat is revealed. Equally effective and creepy is the 2005 American remake directed by Walter Salles (The Motorcycle Diaries) and featuring Jennifer Connelly (A Beautiful Mind) and Tim Roth (The Incredible Hulk). The American version did well at the box office, grossing about 50 million. Posted on October 14, 2012, in Horror, Movies and tagged Angela Carter, Angela Lansbury, Below, Brotherhood of the Wolf, Bruce Greenwood, Christophe Gans, Company of Wolves, Dark Water, David Twohy, David Warner, Frank Darabont, Green Mile, Hideo Nakata, Horror Films, horror movies, Hung, Immortals, Jeffrey DeMunn, Jennifer Connelly, Jennifer Lopez, Laurie Holden, Marcia Gay Harden, Mist, Movies, Mystic River, Neil Jordan, Olivia Williams, Pitch Black, Red Riding Hood, Samuel Le Bihan, Sarah Patterson, scary films, Scary Movies, Scott Foley, Shawshank Redemption, Stephen King, Stephen Rea, Tarsem Singh, The Cell, The Chronicles of Riddick, The Green Mile, The Mist (film), The River, The Shawshank Redemption, Thomas Jane, Tim Roth, True Blood, Vince Vaughn, Vincent Cassel, Vincent D'Onofrio, Walking Dead, Walter Salles, Zach Galifianakis. Bookmark the permalink. 1 Comment. good coverage, lots to see i hadn’t known about, thanks!